This novel, written in 1958, will carry Anglos born before 1950 into social values and moral values of a bygone age. It may seem dated or even unbelievable to younger readers, but the values and morals of this age did exist. The story is engaging and well read. The tangled storyline I found a little confusing as I listened but not less interesting because of it. 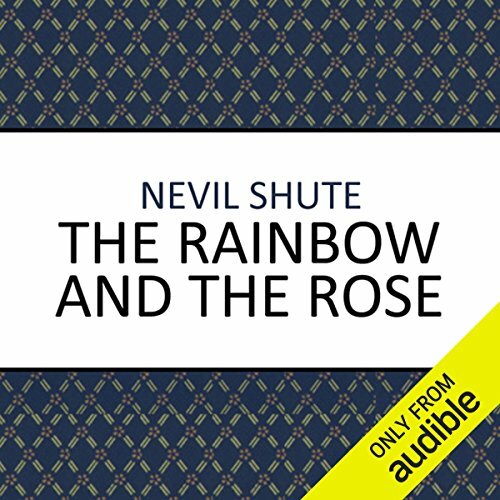 As I listened, I thought that Shute was probably not at his best in this book. However, at the end Shute pulls the tangled threads into a coherent plot and resolution. 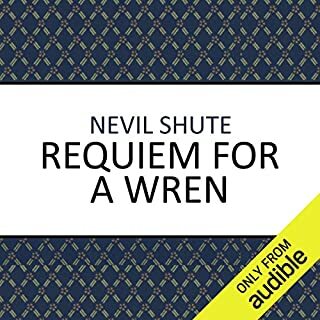 The story seems a little more contrived that other Shute novels, but it does work. I debated giving this a 5 star but settled on 4 as this is a very good story but not the masterpiece of Shute's "A Town Like Alice". I liked the reader, but the halting style might bother some. Best to listen to the sample. 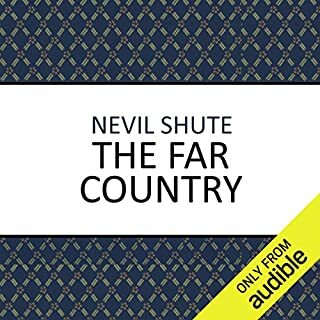 This makes me wish to listen to more Shute novels which I think were recently added to Audible. Many yers ago I started reading Nevil Shute's books and have therefore enjoyed them for fifty years. This one somehow slipped thro my reading list so it was with great pleasure that I was able to hear it. The story has 'dated' slightly but is all the more pleasurable for it. The narration was superb and made the most of a great story. Not to be missed. I am a fan of Nevil Shute because he is a master story teller. However, although it was very good, this book did not really tick all of the boxes for me. There were two issues. First, the story was a little to prosaic for me, which is really more a reflection of my own tastes than a criticism of the author, as I normally go for who-done-it mysteries that require more suspension of disbelief than necessary with this book. Second, I found the changes between the two central characters were sometimes a bit 'clunky'. Nevertheless it was a well written book and if you like 'realistic' stories that follow peoples lives and their experiences. And if you are interested in books that give sharp insights into the values and social norms during the first half of the 20th century then you will probably like this. Liked the way this book crossed the world along with the characters. A good listen. *warning- review contains spoilers (but in saying that, I'm doing you a favour and saving you many hours muttering 'WTF' to yourself). So, you're welcome. Are you looking for an audiobook that confuses, perplexes and befuddles? Sick of being able to follow plotlines, characters or locations? Do you enjoy hearing place names be mispronounced (It's 'YARRA', not Yarh-rah')? 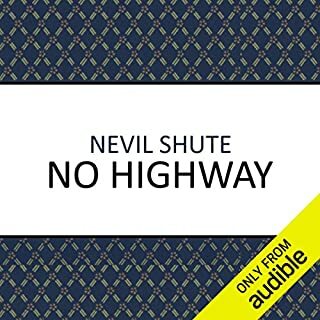 What about a Narrator with no ability to do voices? Meet Ronnie, a pilot guy. Ronnie has a wife called Sheila, who has a voice identical to Ronnie. Meet Johnnie, a pilot guy, who taught Ronnie how to pilot. Johnnie sounds like Ronnie who sounds like Sheila, and also sounds like his wife, Judy. BUT - Judy is not a pilot. So forget her. The story of Johnnie is told by Ronnie, who doesn't actually know the story, because he is dreaming about Johnnie. So whether this is a story about Johnnie, or just Ronnie having major dream-crushes on Johnnie, is unclear. I might also point out that this whole time Johnnie is lying somewhere in Tasmania with a broken skull from a plane crash, Ronnie goes all Goldilocks and tells this entire story while making himself at home in Johnnie's house, dressing in Johnnie's robe, using his house keeper and even sleeping in his bed. Woah, Ronnie? Single white female, much? Meet, oh gosh, I don't remember her name... we'll call her Bronnie. Bronnie is Johnnie's daughter with Judy, and is a middle aged bitter woman with major daddy issues, and has a voice like Johnny, Judy, Ronnie and Sheila. Now forget Bronnie, because she isn't a pilot either, and doesn't appear in the plot again. Anyway, Judy leaves Johnnie and Johnnie falls in love with Brenda. Meet Brenda, a pilot girl. Brenda has a voice just like Judy, wife of Johnnie, who sounds like Ronnie and his wife, Sheila. You can forget about Sheila too. Meet Brenda Jnr, baby daughter of Brenda and Johnnie (what, they couldn't come up with any other names?). We'll call her Brenda Lite. Now forget Brenda Lite, because she comes to an untimely end. Brenda Classic, also comes to an untimely end. Now we're Brenda-less. Anyway, Johnnie is sad because the two Brendas are no more, and so vows to never touch a woman again (which is tough for pilots, due to the Mile High club and all). Okay, so now Johnnie has suddenly aged twenty years, and after living in India (what? India? Twenty years and no plot line in India? Oh, Okay then, whatever.) Johnnie is still a pilot guy. Now meet Peggy. Peggy is twenty-something air hostess (man does this author likes anything plane- related, huh?) and guess what? Peggy sounds just like Johnnie, Ronnie, Sheila, and Brenda Classic. So now that Peggy has arrived on the scene and makes human contact with love-starved Johnnie, and he thinks Peggy is bonza. In fact, Johnnie thinks Peggy is so bonza that he pops the question (no, not about the Mile High club). Peggy gets all awks, and with excellent tact and timing, makes a big revelation - PEGGY IS BRENDA LITE (who's death was faked by Brenda Classic's mother - we'll refer to her as Bonnie) to ironically save Johnnie from heartache later on). Maybe I should have mentioned that earlier in the rant. But I mean, come on Brenda Lite - have a bit of class: When a guy asks you to marry him, you don't story top their proposal by revealing you're his daughter! C'mon! This is manners 1-0-1! Anyway, I've forgotten the rest of this story (more planes, I think), possibly because I was distracted by the facial twitch I developed, triggered by the repeated use of the word 'presently'. Seriously - it's ALL.THE. TIME. All in all, a bit of a dud. But props for the crazy antics of Ronnie (who shamelessly occupied Johnnie's house, ate his food, swanned about wearing his robe and slumbered in his bed, all while Johnnie battled for survival with a fractured face in the Tasmanian bush scrub). Johnnie - I like that guy!